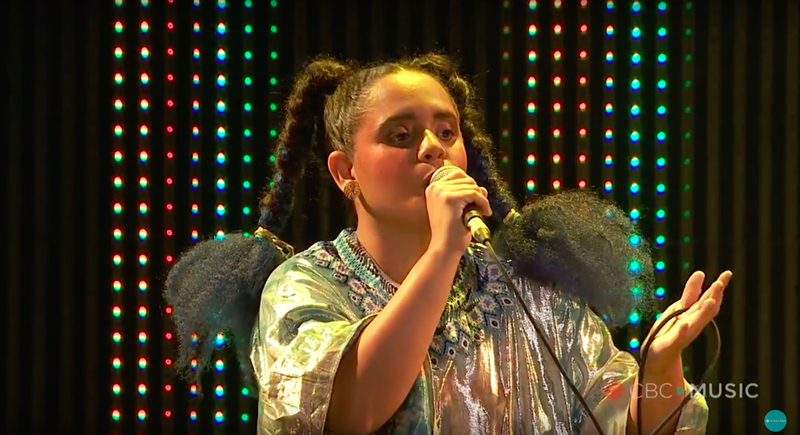 While performing at the Halifax Pop Explosion festival on October 19, Lido Pimienta, musician and recent recipient of Canada’s prestigious Polaris Music Prize, reportedly asked people of color to move to the front of the room and white people to move to the back. When I started asking womxn to the front, I noticed how white women were usually at the front and brown girls would be behind the white girls, a bit more shy, a bit more restrained. Even at HPX, I had to call out a few black girls who were “too shocked” and felt I was “putting them on the spot” by saying, “Girl come to the front! This is for you!” As an immigrant, as an Afro-Indigenous person, as an intersectional feminist, as a mother and all of the other signifiers that qualify me as “other,” I understand what it is like to not see yourself in the media, to not see yourself in institutions and to not see yourself represented or reflected at a music show, because the “artist of colour” (and I put that in quotation marks because even that term is extremely problematic), we don’t get to see each other at that level.